Good morning. 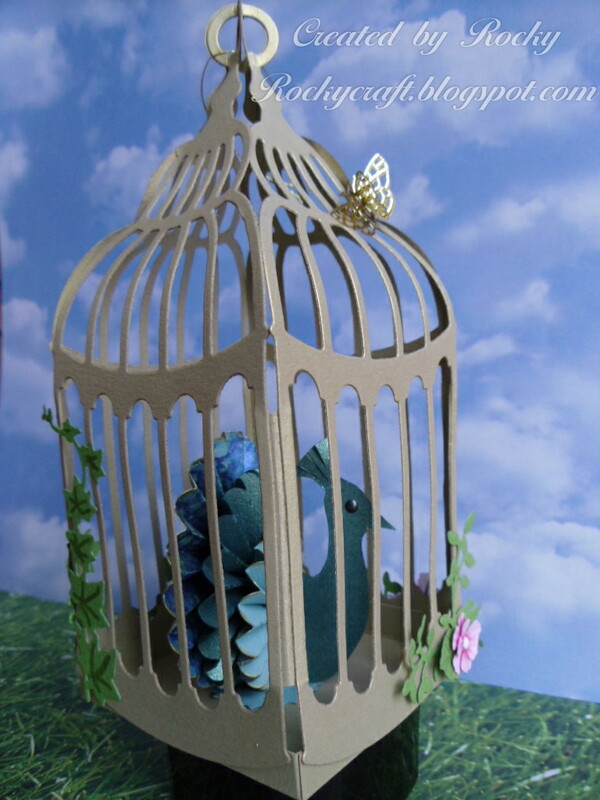 This week I have a little birdcage made with an X-Cut die. I have cut the die four times and used extra card to make my joins. The bottom is a tray made from the same card, then I have stuck the cage on the outside of the tray. At the top the loops are folded in half and then stuck together to form a four sided ring which can be used to hang the cage. Inside the cage is a peacock made using the rosette die from Sizzix. If you would like to know more about the cage or the peacock then please pop over to my blog and have a look. When you get a new die try cutting it out in cheap card and playing around with it, it's good to find other ways of using it. We all like to get as much out of our stash as we can so give it a try. Have a look at this one for a butterfly made from a window.